​The heat was 1000 in the late afternoon of July 14. My vet and her assistants had been gone for maybe a half hour. A dry, light breeze blew over pasture lots that had not seen more than a half inch of rain in total since early May. Except for a struggling, green weed here and there, everything was brown. In the shade of a couple of pine trees, I slouched and drowsed in the seat of a Bobcat skidsteer as I waited for a man to come with a big backhoe. Gus’ body was lying behind me. I had just finished compacting and smoothing over the grave of my partner, Danny, who had passed barely more than three weeks earlier. For more than nine months Danny had suffered with chronic laminitis, often severe, resulting from his insulin resistance. I had to let him go. There had been so many good times of steadiness, faithfulness, willingness, and at age 12, so much more to be had. But it was not to be. I grieved in the memory of what had been as well as for a future that would never be. 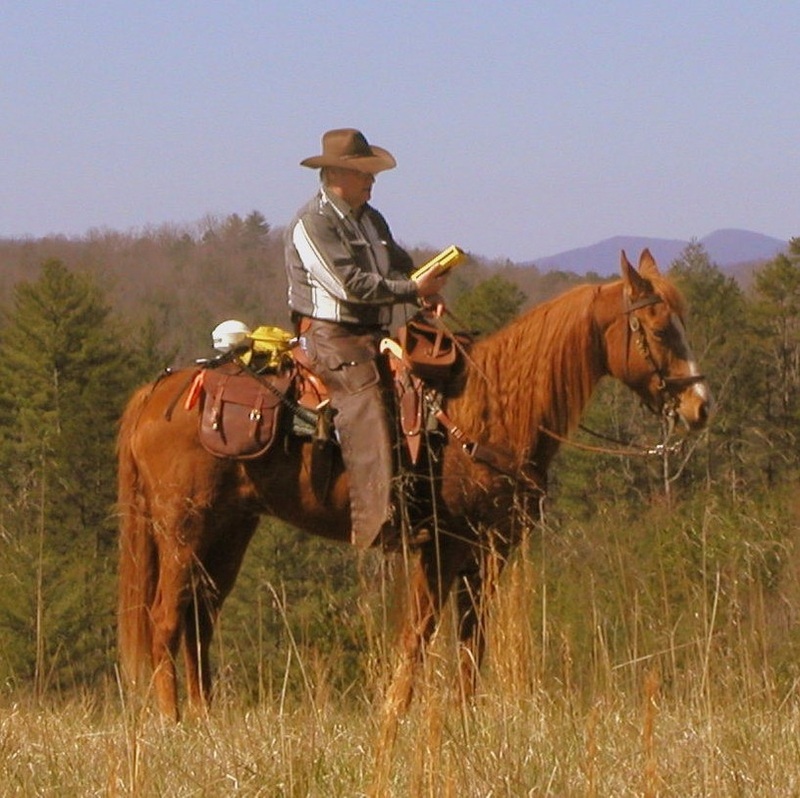 Now it was Gus, another Tennessee Walker, age 30, my partner for more than 18 years, and the best trail horse I will ever own. I bragged on Gus to the highest heavens, but always had to state that while he was my best, it was my Quarter Horse, Snoopy (AQHA “Snoopy Kid”, 1974-1998) that was the horse love of my life. If either of those horses could talk today – oh, the stories they could tell, some hopefully in my post mortem. Several months earlier, my vet had diagnosed a nerve issue high in Gus’ left hip. He had been slightly dragging his hoof, a problem that had worsened with time and now requiring a daily dose of bute. Recently when he laid down you could see the pain of getting up. That morning was the worse episode yet. It was time. For whatever reason, I had not slept well the night before. Going out to feed and finding Gus in his terrible situation had set the day into a whirlwind of telephone calls, planning and preparation. The emotional more than the physical stress had made an old man tired. As I waited for the backhoe, I had drifted into a half-sleep, maybe a stupor conducive to visions when I was given one of the greatest beauty. There before me, in the little cemetery for treasured horses and dogs, the grass was green and lush. Snoopy, Danny and Gus grazed in close proximity to each other in complete peace and harmony. Our dogs, Midnight, Ginny, Missy, Scruffy and Jeb (who had belonged to our son’s family and was Scruffy’s great friend) all milled about doing the things they always did. Everyone was so young, healthy and beautiful. The backhoe arrived. We did what had to be done. Gus’ remains, as had those of Snoopy and Danny, were buried with one of my old cowboy hats over his heart. I was totally covered in the dust of a totally desiccated soil. I was tired as I watched my last two horses looking for their patriarch. Windy, my little mustang mare, had watched from the fence corner as Gus had gone down from the drug. She whinnied to him twice, but not again. Now Blue was calling. The day was a memory that likely will blur with time. But the vision shall hang vividly in my mind until I too walk on the wind with my partners.